The black ADX2/B87C Handheld Wireless Microphone Transmitter from Shure is a UHF handheld transmitter and a Beta 87C cardioid condenser microphone capsule for the Axient Digital wireless system. 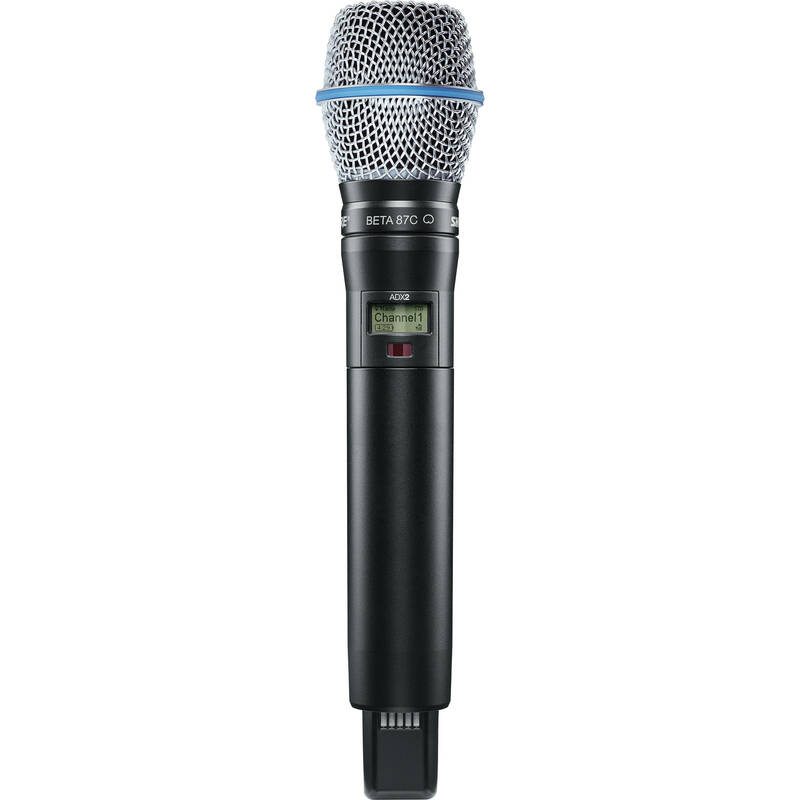 It can be used to capture audio when paired with a wireless digital receiver (sold separately) for live stage, theater, and presentation applications. The ADX2 transmitter features a 20 Hz to 20 kHz frequency response, offers exceptional performance, wide tuning up to 184 MHz, interference protection, rechargeability, and is enclosed in a cast aluminum housing. In addition, it is built with ShowLink remote control for real-time parameter adjustments right from the booth.